Is it safe to cross the street to school? 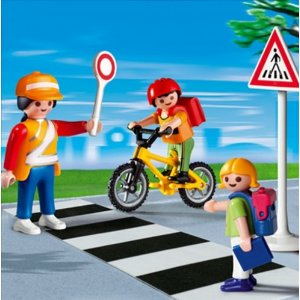 Now it is with the new playmobil crossing guard. Count on him to make sure kids get to school safely. Includes 3 figures, bicycle, cross walk and more!